I am rereading George Orwell’s 1984. The first time I read it was in the 1960s. Reading it again I wonder if he shouldn’t have titled it 2014. The book is closer to reality now than it ever was. No, we don’t have a dictator named Big Brother looming over us. But the ubiquitous electronic surveillance that the book describes has come to pass. In Britain there is one video surveillance camera for every 11 people. In the United States the National Security Agency (NSA) has been reauthorized by a secret FISA court to continue recording “meta-data” on all cell phone calls within the country. It has been revealed that the NSA has been recording all voice calls (including those of Americans traveling or living abroad) in at least one foreign country and has plans to expand the program. On the corporate front, Google scans my Gmail and search history and presents me with targeted ads. I voluntarily disclose personal information on Facebook and Twitter. The IRS knows all about my finances. My medical records are all digitized and stored in computer servers. My photos and documents are somewhere in “The Cloud” which sounds better than the reality: on some hard drive on some web server in a location unknown to me, tended by strangers. My life has been encoded into ones and zeros stored on computers scattered across the globe, and everyone wants a piece of the action. We have all allowed this situation to develop haplessly, many even welcoming these changes as a necessary response to the attacks of 9/11/2001. The government was able to take advantage of the fear engendered by these attacks to chip away at our Fourth Amendment rights to protection from unwarranted search and seizure of property. As Orwell says, from the point of view of our masters, IGNORANCE IS STRENGTH. The Heartbleed Bug is a reminder of our vulnerability. He who lives by the sword dies by the sword. 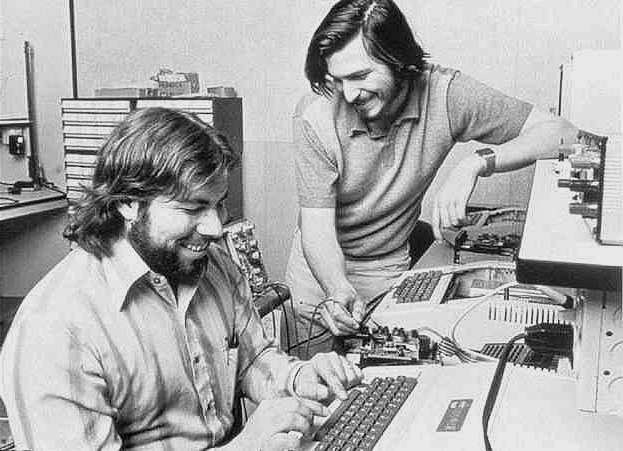 Software is powerful but it is also fragile. We have put all our information into one basket, and, to mix metaphors, Heartbleed revealed it is a leaky basket indeed. There are bad guys out there who want our data. My website gets attacked daily with brute force attempts to log in by guessing my password. I know this because my security software automatically notifies me and blocks the attacking site. My site has been successfully hacked in the past. It is a constant battle keeping one step ahead of the attackers. If you run the program Wireshark which inspects data packets arriving to your computer from the Internet, you can see that brute force password attacks are happening all the time. And if this happens to a minor target like my website, then more important sites are even more heavily bombarded. With results. Witness the Target credit card breach. Now that all our private medical data has been or is being transferred to electronic form due to government mandates in the US, how safe is it from attack? I think you know the answer. Unlike Heartbleed which was a vulnerability in an open source implementation of the SSL protocol, medical electronic health record (EHR) systems provided by EPIC, Allscripts, Cerner, and others are proprietary systems, with closed-source software, not open to review by outside experts. The Heartbleed code, being open source, was readily reviewable by anyone, and despite this the flaw in the code was not picked up for two years. Are there flaws in the coding of EHR systems? As all software has bugs, the answer is undoubtedly yes. Could a large medical information breach happen akin to the Target credit card breach? Certainly. It is frightening to consider the economic value of the medical information that these various private EHR companies are sitting on. Wouldn’t a potential employer want to know about your history of depression? Wouldn’t the drug companies love to know what’s in these database files? Targeted drug ads, anyone? After being sent home from the hospital following a myocardial infarction, will my Google search page include ads for the latest anti-platelet drug? There are plenty of companies who would pay a lot of money for this kind of information. Could your EHR company sell your data? Not legally, at least not now. But the data could be stolen and sold. And, given how the US has become more and more ruled by corporate interests, I wouldn’t be surprised if the selling of your private medical information does become legal some day. You did read that EULA thoroughly before clicking on the OK button when you signed into your doctor’s office, didn’t you? In the 1960s television series, The Prisoner, Patrick McGoohan proclaims “I am not a number, I am a free man!” Like the book 1984, quite prophetic. Even the tiny video cameras of the 1998 movie “The Truman Show” have come true with cell phone cameras everywhere. We are a nation of voyeurs and exhibitionists, watching our reality shows and posting everything about ourselves on Facebook. Giving up our privacy is partly self-inflicted but also the result of data collection by Big Brother in the form of government and big business. 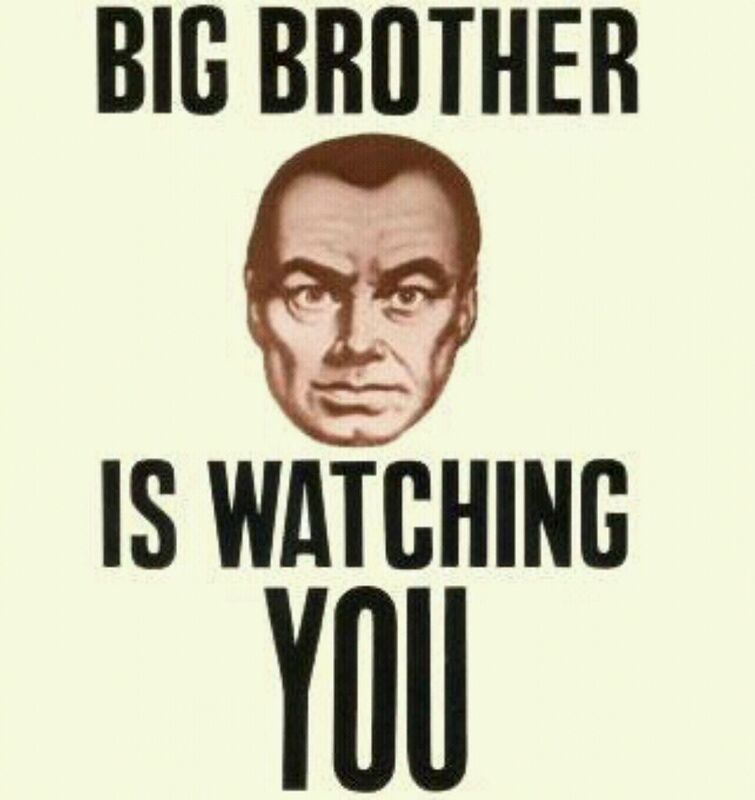 In 1949, when 1984 was published, the technology didn’t exist to implement the invasion of privacy he envisioned. In 2014 that technology is here and the genie is out of the bottle. Il veut sortir de son plaisante mais étouffante vie – toujours rangée – pour s’échapper de sa petite ville qui est sur un île au bord de la mer – une ville qui est toujours propre, toujours ensoleillée et en fait, trop parfaite. En réalité, Truman était le produit d’une grossesse non désirée. Son «père» (pas son vrai père), Christof, un producteur de télévision qui Truman n’a jamais rencontré, a réalisé le Truman Show – le plus grand spectacle sur terre – un spectacle dans lequel la vie est en direct – la télé-réalité. En fait, Truman ne sait pas qu’il vit dans un petit monde de de télévision qui a été inventé par Christof parce qu’il a grandi dans ce monde et il était là depuis son enfance. Donc, tout le monde autour de Truman est acteur avec un peu de casque à l’oreille. Même sa femme est actrice qui fait beaucoup de publicités pour le camera à la stupéfaction de Truman. Un jour, Truman trouve accidentellement une zone de restauration dans un faux ascenseur de son bâtiment de bureaux et devient assez suspecte. Peu à peu, il vient à la conclusion qu’il ne vit pas dans le monde réel. Truman découvre que tout son monde est un ensemble de film et que tout était contrôlé par Christof, son «père» son “créateur” qui travaille dans un studio dans une ersatz lune du monde de Truman. Enfin, Truman réussit à s’échapper de son monde irréel. Il repousse son créateur, son père Christof. Truman ouvre une porte dans une peinture de paysage et il va à un monde qui n’est jamais vraiment montré dans le film. Ce monde reste inconnue, c’est notre monde. Je crois que le film est très prémonitoire. Au temps de son sortie, le Facebook n’existait pas et la télé-réalité était à son début. Cependant, le film démontre que la démarcation entre la vie privée et la vie publique est devenu floue. C’est aussi une critique des effets que la publicité ont sur notre comportement et même nos pensées. C’est une critique de la vie occidentale (surtout la vie américaine), de la religion, du capitalisme, des médias et de nos perceptions de la réalité. À la fin du film, en regardant Truman part son monde iréel, on espère que son nouveau monde sera réel. Toutefois, cette question reste sans réponse. 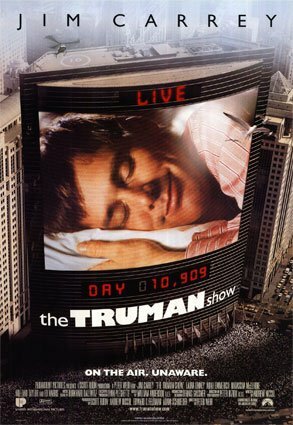 “Le Truman Show” est un film de science-fiction qui est à peine different de la vérité aujourd’hui. C’est aussi un drame philosophique qui provoque beaucoup de pensées et qui peut vous encourager de regarder votre vie un peu plus près. C’est un film à ne pas rater ou manquer et un film qui a tout pour le revoir. One of the perks of blogging is that it gives one a license to write about topics that one really is not an expert on (a trait that my readers have doubtless discovered on their own). And speaking of licenses to do things… there is the double zero license to kill, granted by the British Government to a select few secret agents in the fictional world of Ian Fleming’s James Bond. It is hard to believe, in this world of Edward Snowden, NSA snooping on American’s phone and internet messages, and government sanctioned murder via drones, that not only were James Bond and his somewhat quaint by today’s standards license to kill, as well everything associated with spying, all the rage back in the 1960s, but also that the movie phenomenon has continued right up to the present day. My son Brian was nice enough to give me a present last Christmas of “The James Bond 50” that consists of all the James Bond movies over the last 50 years. I was always a fan, and this wonderful Blu Ray set allows me to see all the movies again in order. I have been watching about one a week, giving me some precious entertainment over this final year of my medical career. When I get back to Skyfall, it should be January, 2014. I am also reading Sinclair McKay’s The Man With The Golden Touch which is a great source of insight into these films. It is interesting to watch the films again from today’s perspective. I have gotten as far as the start of the Roger Moore era. The movies, aside from being an interesting glimpse into the culture of the 60s and 70s and showing how far we have come in terms of sexism and racism, are entertaining and have high production values. They have always been very popular, apparently the second most popular movie series of all time (the first? Harry Potter). Sean Connery, Roger Moore, and even George Lazenby in his single outing On Her Majesty’s Secret Service all bring a different spin on Bond. Connery is tough and gritty, Moore is suave and debonair, but a little silly, and Lazenby is handsome but understandably insecure, this being the first and only acting attempt of the former used car salesman turned model. Ironically his performance probably emulates the Bond of the novels best, who was a considerably more insecure and complex character than that portrayed on the screen. What strikes me most on re-watching these early Bond films though is how crucial and how good their musical scores are. 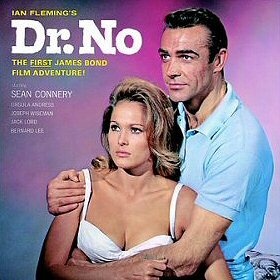 At the end of every Bond film there is a statement that reads “The James Bond Theme was composed by Monty Norman.” Norman was a writer of Broadway songs and was hired to compose the music for Dr. No. The producers of the Bond films, Cubby Broccoli and Harry Saltzman were apparently dissatisfied with Norman’s version of the James Bond theme and brought in John Barry to arrange it, resulting in the version so well know today. The guitarist Vic Flick played the theme and was paid a one time fee of £6. Over the years Norman (who is still alive) has won several libel suits over authorship of this theme, so, if you are reading this post, Monty Norman, I don’t dispute your authorship of the theme. As part of the evidence introduced in the libel suits, Norman produced a song from an unpublished musical written in the 1950s prior to Dr. No. The song, called “Good Sign Bad Sign,” is pretty awful, but there is part of the familiar guitar riff in it, in a Hindu sitar style. Barry was chosen to write scores for the next several Bond films. He did not write the theme to From Russia With Love, but did orchestrate that score. He then wrote the great Goldfinger theme, belted out memorably by Dame Shirley Bassey. The next film Thunderball has a great score, though the film itself is not the best of the oeuvre. Barry originally wrote the title theme “Mr. Kiss Kiss Bang Bang,” which is a great tune with about as silly lyrics as you can imagine. This title song, sung by Dionne Warwick was rejected at the last minute because (maybe among other reasons) it did not contain the word “Thunderball” in its lyrics. The unsung version of this song is heard throughout the score of the movie. So Barry had only a few days to come up with a new song, which turns out to be another great song, sung by Tom Jones. According to the singer he held the last note so long that he passed out at the end of the song. I saw the movie John Carter last night. Having read many of the reviews that label the movie a flop and failure, I was happily surprised to find it is a very good movie. The reviewers all harp on the large price tag ($250 M) of the movie and the relatively low return of its first weekend ($30 M here in the US, though $70 M in Europe). So it seems movies, like everything else in America, are judged purely on their financial as opposed to artistic merits. If that is so, why does the Academy Award for Best Picture so often go to some low-budget film that no one has actually seen? As others have pointed out, some poor marketing and the apparently derivative nature of some of the scenes work against the film getting a fair viewing. Hacking off “of Mars” from the title didn’t help, leaving prospective viewers wondering what a movie named “John Carter” could possibly be about. As for the movie imitating Star Wars or Avatar — well that’s just pure ignorance. As I waited for the movie to start, it was hard to sit still while listening to a guy in the row in back of me explaining to his girlfriend that the movie was based on a comic book by the creator of Tarzan. 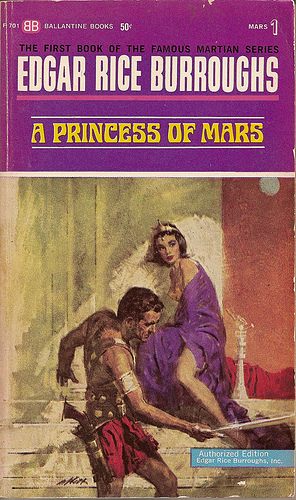 There were no comic books in 1912 when A Princess of Mars was published. Science Fiction was not a recognized literary genre. 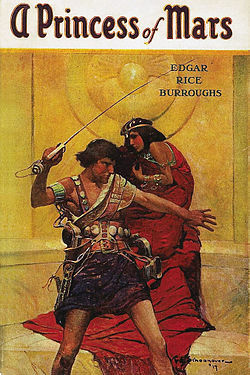 Edgar Rice Burroughs, who went on to create the iconic feral human in Tarzan of the Apes, wrote this first novel of Barsoom after having failed at countless jobs. He had an idea that he could write works of fantasy, and he decided to try his hand at it. Thank goodness he did! With this book and the 10 that followed, as well as his tales of Pellucidar, Venus, and many other alien worlds, he managed to invent a majority of the themes that have unabashedly been used by George Lucas, James Cameron and others who create the SciFi movies of today. I have read everything available that Burroughs wrote, and, yes, that includes such obscure works as The Girl From Farris’s and Marcia of the Doorstep. The Mars books were always my favorite, more so than the Tarzan series. They are just so imaginative. Burroughs had a unique knack for creating alien worlds and alien cultures. There is great attention to details in these books: the geography is consistent, the languages and names sound right, the many-legged animals are amazing (from thoats — Martian Horses, to calots — Martian dogs, represented by Woola, whose realization is one of the high points of the movie), and the cultures and motives of the many Martian races are well defined. The bright covers of the Ballantine and Ace editions of these books first appeared in my early teenage years in the 1960s and immediately captured my attention. Even though paperback books back then only cost 50 cents, this was still a lot given my 25 cent weekly allowance, so it took a while to get all the books. I also had to make sure my mother didn’t see the covers, which invariably included scantily (for the time) attired princesses (see illustration above). But the joy of reading these books back then is still palpable today. So, what about the movie? Well it would be hard to fit the sensibilities of the early 20th century into a movie made today. In the books, John Carter does what is right because that’s just the way he is. He is a born fighting man, and chivalrous to a fault. In the movie he is given a back story, and, other than his jumping ability (which the movie exaggerates) he doesn’t seem special — not the best swordsman of two worlds, as the John Carter of the books immodestly bills himself. Being Burroughs’ first book, it improves as it goes along, but starts out with a huge unexplained deus ex machina — Carter’s astral projection to Mars. The movie probably improves on the book for not only providing an explanation of sorts for this, but making this technology a major theme of the movie. The movie brings in elements from the 2nd and 3rd Mars books (together they form a trilogy that chronicles John Carter’s rise from an unarmed captive of the Green Martians to the title of “Warlord of Mars”), as well as other elements that aren’t in the books, but none of this hurt things too much. Zodanga was not a moving city, and the Therns don’t have the same role in the books as the movie, but it didn’t matter to this Burroughs fan. To see the wonderfully rendered Green Martians (though not exactly according to Burroughs, they were even uglier with eyes of the sides of their heads), the magnificent fliers (powered by the Martian Eighth Ray), and the “incomparable Dejah Thoris,” played incomparably by Lynn Collins, made up for any discrepancies with the books. ERB himself sanctioned the various Tarzan movies, almost none of which portrayed the character as he himself did (Tarzan was an English Lord who was fluent in numerous languages; no “me Tarzan, you Jane” in the books). I’m sure he would have been delighted with the movie John Carter. I installed WordPress Jetpack recently. Among other features, it tracks traffic to individual blog posts. It’s interesting that of all the topics I’ve blogged about, this is the most popular post. There is not doubt that the special effects of that old series, especially the surface shots, hold up very well even by today’s standards. A 17 foot submarine model photographed while being towed in a lake has an element of realism that even computer graphics can’t match. It is no accident that the movies comprising The Lord of the Rings largely eschewed computer graphics and used models for most of their special effects. 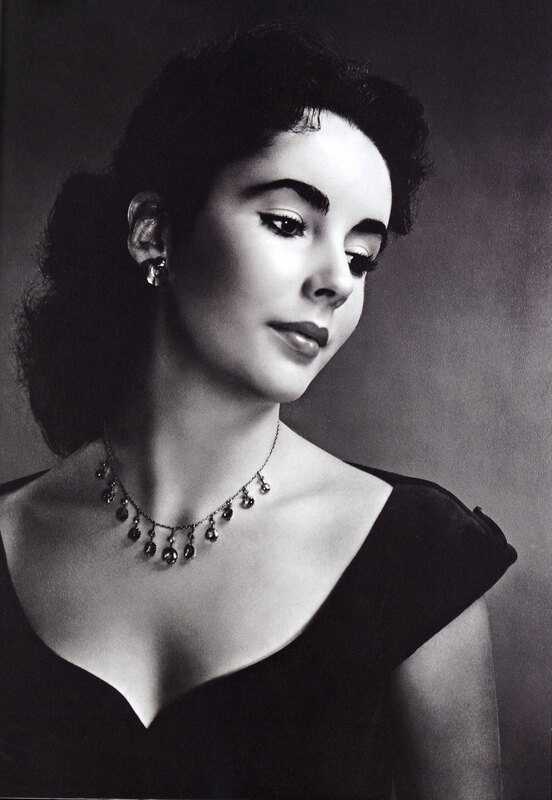 No particular connection, but seeing the passing of Elizabeth Taylor brought back to mind how much I admired (ok, was in love with) her when I was young and watched her in movies such as Giant. For those who are only familiar with the aged version of the lady, these photos show her in her prime. See what I mean? 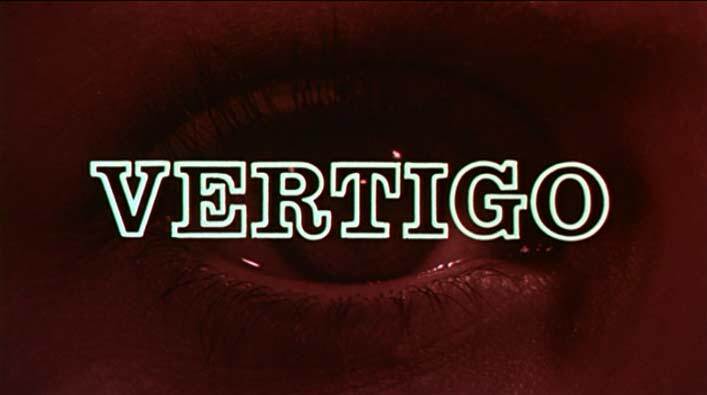 Alfred Hitchcock’s masterpiece Vertigo is a film about obsession, so perhaps it is not strange that the film itself can become an obsession to the viewer. If you have not seen the film, stop right here and go out and get it on DVD or watch in on TV — it has been on several times recently, including on the hi-def channels. The movie has been wonderfully restored, with great image and sound quality. There are spoilers ahead, so come back only after you have seen the film. John (Jimmy Stewart) is a retired cop, unable to work any more because of a traumatic experience involving heights. He is enticed by a former associate to take on some freelance work: trailing his wife who has been behaving oddly, seemingly convinced she is a reincarnation of her great-grandmother Carlotta, who died tragically long ago. 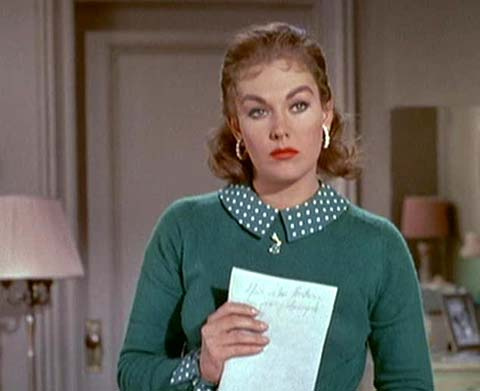 As John, aka Scotty, follows Madeleine (Kim Novak), on her weird meanderings to the art museum where she stares at Carlotta’s portrait, to Carlotta’s grave, to the old house where she lived, the movie is devoid of dialog for a long stretch. Scotty, and the viewer, voyeuristically observe Madeleine, and an attachment clearly develops. When Madeleine seemingly tries to kill herself by jumping into San Fransisco Bay, Scotty fishes her out, takes her “unconscious” back to his apartment, undresses her and puts her to bed. Certainly Scotty’s interest in this case has become more than a little unprofessional at this point. There is an electric moment when Madeleine, in a robe, reaches for a coffee cup, and their hands touch… broken off by the phone ringing, the caller being her husband. Madeleine slips away. The couple take to wandering together, in the mysterious depths of the redwood forest, on the ocean front before crashing waves, and they clearly fall in love. But Scotty is being duped. When Madeleine seemingly is successful in killing herself by jumping off the tower of a Spanish mission, Scotty is unable to save her because of his fear of heights. He goes into a deep depression, worsened by the harsh words of blame spoken at the inquest. The other love interest in his life, Midge, fails to break through to him, and quietly disappears from the rest of the movie. Then while walking the streets, he finds a girl that reminds him physically of Madeleine — Judy Barton. 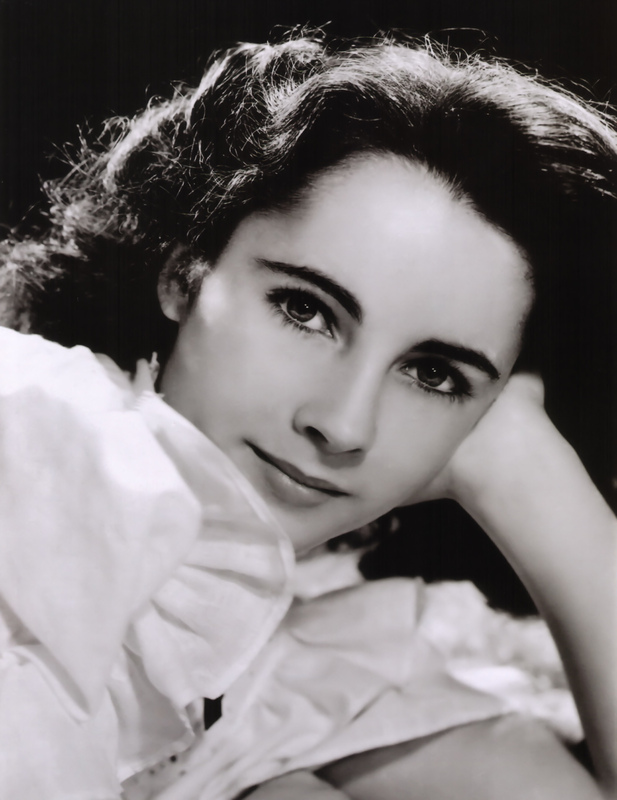 Judy is crude where Madeleine was refined, but she actually is the same girl, which is quickly revealed to the viewer in a flashback. Apparently Hitchcock considered deleting this flashback to keep the suspense going until the end of the movie, but leaving the scene in completely shifts the focus of the film and turns it into the psychological masterpiece of obsession that it is. Judy considers running away, but self-destructively stays and plays along. She is humiliated that it is not she that he loves, but the image of Madeleine that she p;ayed before. But she doesn’t have the qualities of Madeleine. She instead is the type of woman who would get herself involved in a murder plot and would take advantage and ruin a man like Scotty. On the other side, John/Scotty himself scarcely comes off well as a man who will remake a woman into the image that he is obsessed with, uncaring about her feelings. She is distressed by all this, but allows him to turn her back into the image of Madeleine. She inadvertently gives herself away, and Scotty reacts by bringing her back to the scene of the crime, where she tries to convince him to love him. After all she is Madeleine if anyone ever was, but the original crime comes around full circle to bring about the tragic ending. The movie ends abrupty with Jimmy Steward standing on the tower’s ledge, looking down — his fear of heights cured at a terrible cost. The effect of the movie is increased dramatically by the excellent acting of the two principals, as well as the Wagnerian (modeled after the opera Tristan und Isolde) score from Bernard Herrmann. Ultimately it raises and leaves unanswered the question: does one fall in love with a person or an ideal? Madeleine and Judy were one and the same, yet Judy could not substitute for the fictitious Madeleine. At the same time, despite the incredible injustice done to Scotty, was he really justified in treating Judy as he did? 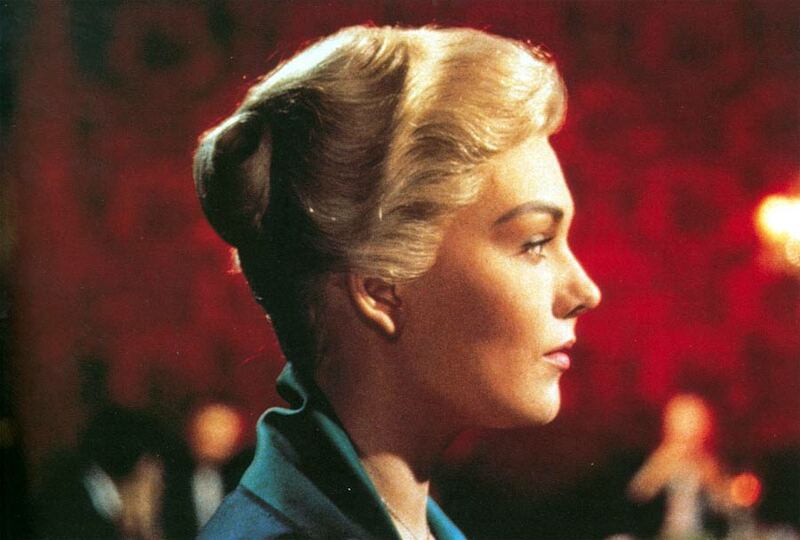 Vertigo displays the genius of Hitchcock at the very peak of his movie-making skill. Like the greatest works of art and literature, new subtleties reveal themselves with repeated viewings. Movies usually take a third person point of view. We are seeing things from a point of view of none of the characters. This does a good job of telling the story, but it is an unnatural point of view. It doesn’t seem to bother people reading stories or watching movies, however. “Elephant” has very little dialog. Most of the movie is long slow shots of kids in a high school. Early into the movie though you realize that movie time is non-linear. There is a scene that ends with the high school principal. A number of other scenes go by. Then you are back with the principal as if no time has passed. Kids talk and a girl runs down the hall. The scene is later replayed from the girl’s point of view. Essentially the movie takes a limited time period and expands it by reshowing the same scenes from different points of view. The result is a step beyond third person. The perspective is even more “god-like” than a typical third person narrative. You get to see the events from multiple points of view. The events, it turns out, are a school shooting almost exactly parallel to the Columbine shootings. This was jarring to me when I first saw the two kids with rifles appear in the movie. Most of the film up to the shootings seems banal and everyday. The events are transcribed on film, but despite the multiple viewpoints, there is still not answer given in the film for the senseless violence. We see it all, but we still don’t understand it. It is difficult to describe the effect of the movie in words, but there is no doubt the construction of this film amplifies the horror of the events more than a simple linear perspective would have. This effect is worth experiencing. Afterwards, you realize that some things we humans are capable of cannot be comprehended, only apprehended — which is perhaps the point of the movie.